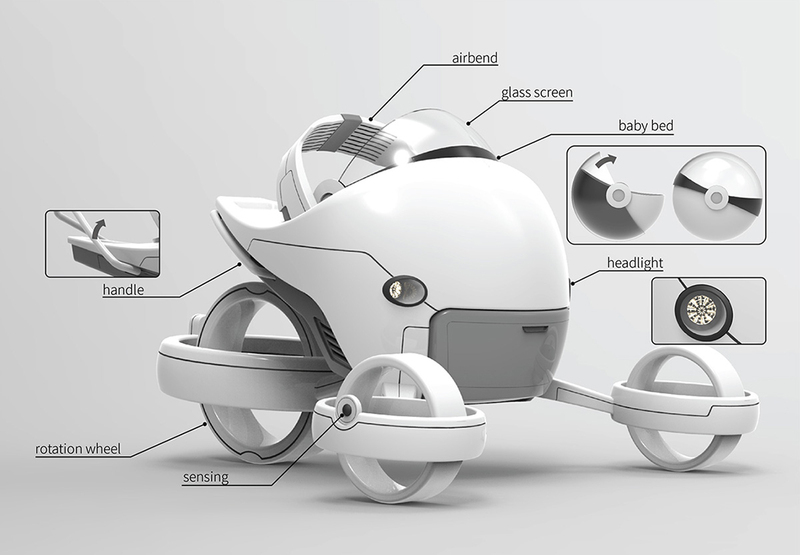 The future of baby strollers looks like something straight out of a science fiction movie, as if it will levitate off the ground and shoot into the sky at the push of a button. 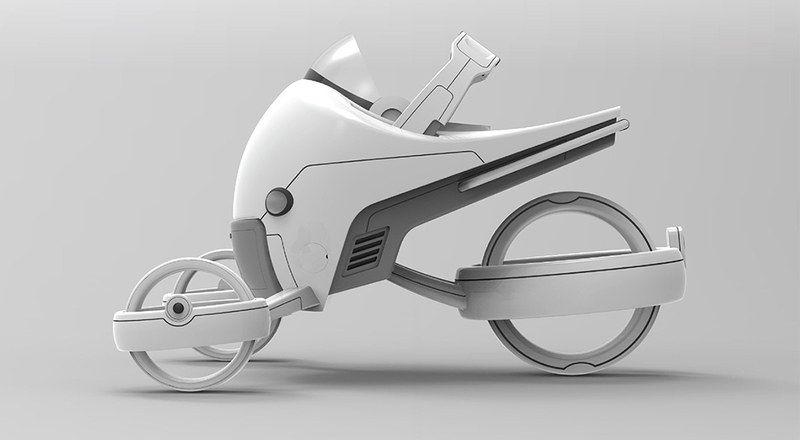 While there’s no actual flying involved, this concept is still a huge departure from the current styles available in stores, and the key to its enhanced usability is a gyroscopic suspension system. 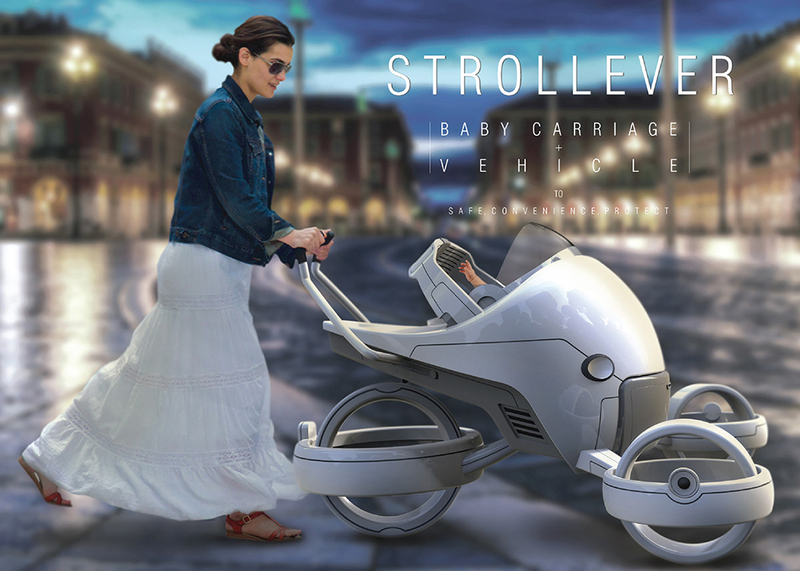 The main capsule of the stroller remains stable and upright even if you travel over uneven terrain or crash into something, like the legs of the passersby who will inevitably stop to gawk at the strange object you’re pushing. 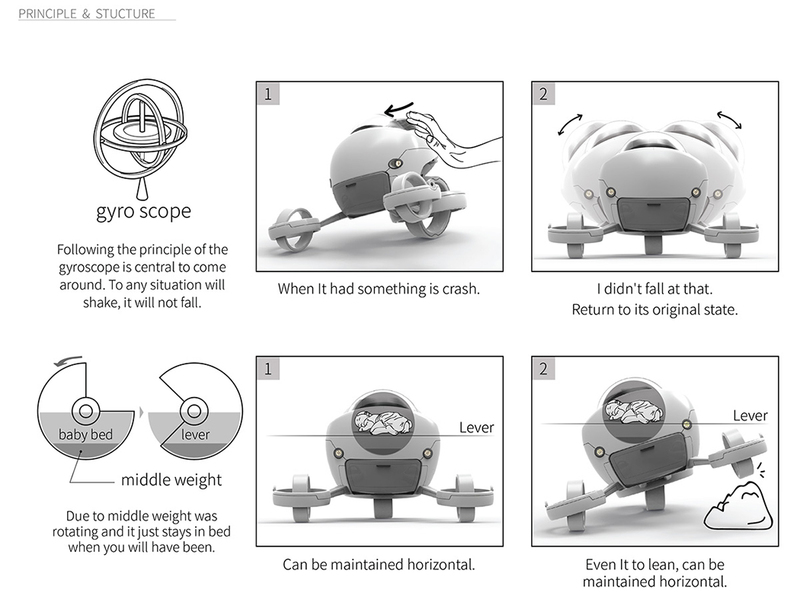 Even if the whole stroller is lifted on one side, the inner capsule stays in the same position. This eliminates the jarring bumps that can wake a sleeping baby. 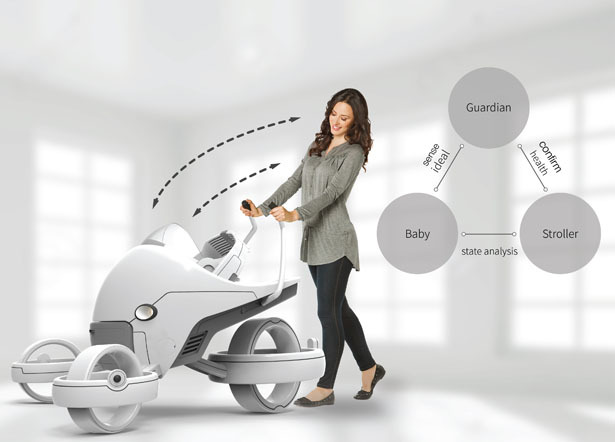 Details on exactly how the stroller works are scant, but it does have a windshield-like glass screen that pulls all the way down to protect baby from wind, rain and UV rays. A storage compartment built into the bottom provides a place for all of the stuff you’d normally sling over the handle, and headlights will light the way after dark.